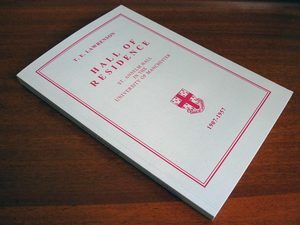 This is the second edition of Lawrenson’s book Hall of Residence, which gives an account of the history of St Anselm Hall from 1907-1957. 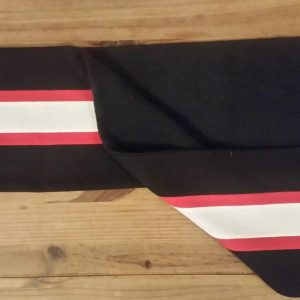 It was first published in 1957 by Manchester University Press and hailed as a welcome account of life in a hall of residence in 1950s Britian. 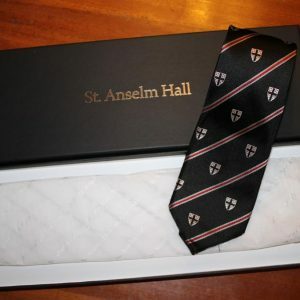 It also charted the history of St Anselm Hall in Manchester from its humble origins as a hostel for theology students to its acquisition by the University in 1956 as the first hall to be so bought in. Manchester University’s official historian Brian Pullan has referred to it as “by far the liveliest account of the residence histories” and it is republished here with several new photographs, an index, and new introduction to the second edition which sets the book in its context. Laminated paperback covers. 154 pages. 210mm (8.3″) x 149mm (5.8″).